Everyone says you need a mentor, but there are no practical resources for what, why, or how. 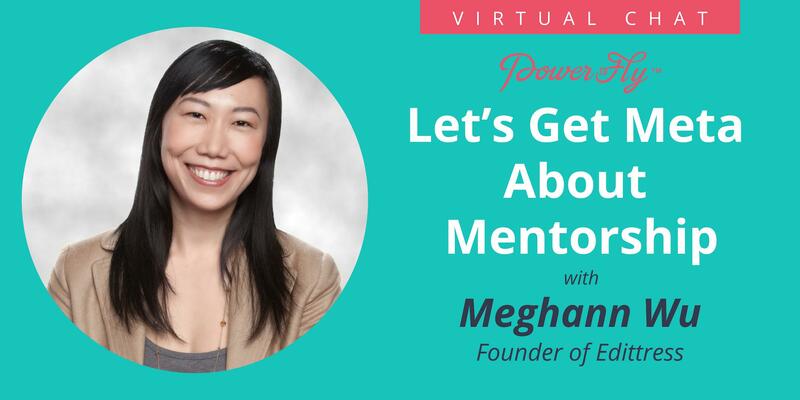 Meet entrepreneur Meghann Wu who created an online mentor network based on what she experienced first-hand in media and technology. We'll unpack the problem and go into the unspoken best practices of mentorship through an interactive quiz (e.g., what it is, how to get it, and other helpful tidbits). Do you have any advice for handling a mentorship relationship that just isn't clicking? I'm not getting what I want out of my mentor - how can I address this without sounding rude or selfish? Meghann is an management consultant, writer, and founder of Edittress ("editing stress"): an online mentor network powered by video chat. Her background includes rising from intern to senior vice president of strategy & business development at Viacom. She holds an MBA from Columbia University and a B.S. in Computer Science & Statistics from the University of Illinois.